Entertaining is not something I’ve been naturally good at from the start. Since my first very small holiday party for family and friends in our first college apartment, it’s been a learning experience with trial and error every step of the way. 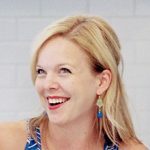 Each time I host any sort of meal, party or gathering, I find something new that’s a smashing hit and probably also something that didn’t go quite the way I had hoped. Thankfully I have an awesome crowd of family and friends who are still willing participants through all of my successes and failures. One of the main things I have noticed over time is that details matter. A few well planned details can take a party from nicely done to impressively polished. And even though it is a little bit of extra planning, that doesn’t mean it has to be complicated. Serving a signature cocktail is an excellent detail that is a crowd pleaser in more ways than one. Guests will appreciate an option for a festive drink beyond the usual assortment of beer and wine, and of course a good seasonal beverage is a hit in and of itself. 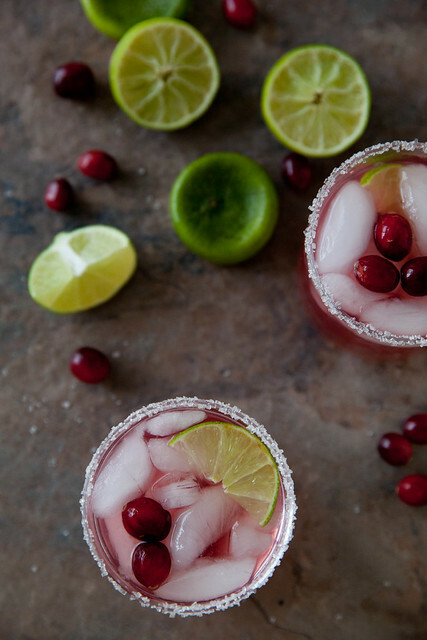 These cranberry margaritas are especially convenient because you can mix up a large batch in advance and have a pitcher ready when your guests arrive. Just be sure to make a big batch because in my experience, they disappear quicker than you might anticipate. These will be making an appearance at our Thanksgiving meal and we are most definitely looking forward to them. 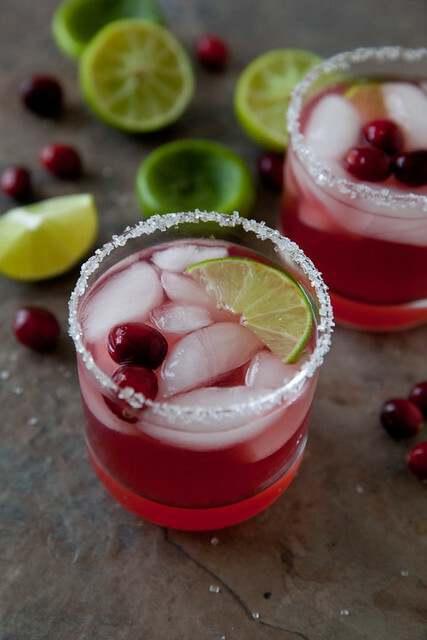 Combine cranberry and lime juices, tequila, triple sec and simple syrup in a large liquid measuring cup. Stir well to combine. Serve over ice in glasses rimmed with coarse sugar or salt, if desired. *In a small saucepan, combine equal parts sugar and water. (I usually use 1 cup water and 1 cup sugar, and keep on hand in the fridge for use in beverages.) Cook over medium-high heat, stirring, until sugar dissolves completely. Transfer to a heat-proof pitcher and refrigerate until well chilled, about 30 minutes before use in a drink. Store in an airtight container in the refrigerator up to 2 months.